Love the service Great personal attention from individuals who seem to really care. Very importantly, the service was completed on time and the repair was done correctly. I actually enjoyed the repair experience! I picked up a nail in my tire. I got a low pressure message. Contacted Service and was told to bring the car right in. Great service and quick response. 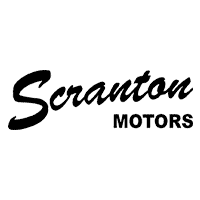 THANK YOU Scranton Motors. No pressure to buy, Sales is willing to work with the customer; customer satisfaction is important to them from beginning to end. Liz is fantastic, knows her job very well, is thorough and follows up. I would not hesitate to buy another car from her! Went in for a recall and oil change. Very friendly staff and a very clean service center. A sales person that I had a conversation with was very nice and helpful. I had am excellent service experience. Phenomenal. Mike Griffin kept me updated on the extended warranty process and together added new water pump and timing belt, which I agreed to pay for, while the warranty was being done. Great service advisor. They worked extensively on a body issue of my very old Buick. They couldn't fix the problem, but never charged any labor. Beyond fair. We just purchased a ‘16 XTS from Scranton and the process couldn’t have been easier. From our initial conversation with Lauren Carey through the paper signing with Liz Kibby. This was an excellent experience and we look forward to working with them again.